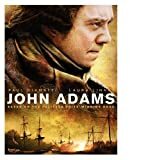 John Adams is a sprawling HBO miniseries event that depicts the extraordinary life and times of one of Americas least understood and most underestimated founding fathers: the second President of the United States John Adams (Paul Giamatti). Based on the bestseller by Stephen E. Ambrose, the epic 10-part miniseries Band of Brothers tells the story of Easy Company, 506th Regiment of the 101st Airborne Division, U.S. Army. Drawn from interviews with survivors of Easy Company, as well as soldiers' journals and letters, Band of Brothers chronicles the experiences of these men who.. The HBO hit series, Entourage, starring Adrien Grenier, Kevin Connally, Kevin Dillon, Jerry Ferrara, and Jeremy Piven, is back for its Second Season on DVD. The series follows the lives of hot celebrity actor Vince Chase and his posse of friends from the old neighborhood as they maneuver and strut through the glitz and glamour of Hollywood.